A six-month program is designed for those who want to make a real, lifelong shift. ​You've had enough of languishing and feeling frustrated—now you want to get going. Maybe you already know getting support is a wise decision! With my skills and expertise, anything you want to accomplish is possible. Are you ready to commit to receiving the professional and private support you want and deserve? Are you ready to go for it this time? It's now time to make yourself the priority. Invest in your own life now. You're willing to be dedicated and make your life your priority. You're interested in exploring a higher creativity: one that draws on your strengths, your skills, your talents. You're willing to let old, outdated modes of behavior go. You're willing to allow new experiences into your life. Are you ready to embrace it, experience it, be it? This really is the premier program to help you transform on a deeper level, let go of the past, and carve out the new, next phase of your life. intuitive, professional, and personal guide can give you. ​I've seen it happen with my clients over and over again: learning to let go of limitation to reclaim personal power. Change can be frightening and exciting at the same time, but making incremental progress each week, at a comfortable pace, is how it all unfolds: with freedom, grace and ease. One 90-Minute Mini-Intensive: Your First Call. Fully download to me everything you have going on now and where you want to go. On the final week, we will review your accomplishments and set you up to continue successfully on your own. Three 50-Minute Phone Sessions per Month. Celebrations of your wins, question-and-answers on what's happening now for you, and clearing your mind to set the direction for the upcoming weeks. Email Access for Support and Accountability. For Q&A, support, focus, and sharing. Updates and celebrations! Voxer. Voicemail support: whenever you need to, call and leave a message, and I'll return with a voicemail for you to check when you're ready. ​It's time now to get the one-on-one support you need to embrace the new, now. If you're a business owner or an entrepreneur, or would like to be, we can tackle the tough tasks together. I can show you how they are much easier than you thought! Let's take your ideas, your dreams and visions, and all the notes you've taken over the years to do that thing you've been wanting to do for ​what seems like years! Life purpose and fulfillment in the coming months ahead. Letting go and surrendering to the Highest Good. What old habits and patterns are ready to go? Are there money wounds that need to be healed? Relationships evolve and change. Are you ready for a new day? Are you engaged in work or activities that no longer fulfill you? As your world begins to change, you'll be managing new beginnings. What's new and different about your world now? What miracles and magic are showing up? How are you experiencing forgiveness and gratitude for all? Support in making those tough decisions. You will see continued shifts, elevating your greater Life Purpose and fulfillment. With focused, 3x monthly accountability, you'll be kept on track with your new path. Though situations may evolve, and your goals and desires may shift or change, if you have heart, willingness, and a supportive guide by your side, all your desires will be encompassed in whatever life has in store for you. ​We'll get you there, and you will break through to your next level. 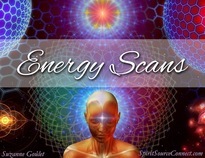 Suzanne Goulet is a life coach, author, speaker, spiritual mentor, and distance energy healer. Her work with clients includes private and group coaching programs, live workshops, and tele-seminars. She has been an entrepreneur since 1987, having had international careers in Film & Television (twenty-two years), and is an Emmy Award winning documentary film editor. She was the President and CEO of her own a real estate investment firm, and garnered the prestigious Keller Williams Rookie of the Year Award in 2006. Because of her love of gemstones, she became certified as a Graduate Gemologist and makes jewelry while enjoying the freedom of creating her life according to her values of creativity, expansion, and freedom. The entire journey has been as a result of a nurtured connection with Spirit and studying advanced channeled materials--including A Course in Miracles--since 1991. ​She has helped hundreds of people heal, transform, and find their right path in life, leading them to live truly fulfilling and elevated lives. 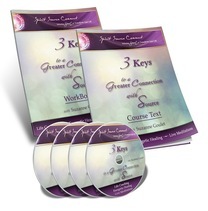 "3 Keys to a Greater Connection with Source"--By learning how to increase your connection to Source, you will implement a new higher guidance into your life, re-program your subconscious, and increase your possibilities for greater expansion. Digital audio & PDF transcript, plus​ a workbook. 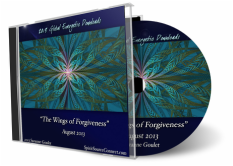 You will be given the opportunity to choose between any one of the audio transformative journey CDs that have been the result of the Live Global Energetic Downloads. “I am just plain transformed! During the past several months of coaching with Suzanne I feel like I have evolved from a stuck person moving at a snail's pace to an awakened soul moving forward in leaps and bounds at times. With Suzanne's intuitive questioning, support, and caring, I have grown back into the happy courageous person I was sorely missing. I am forever grateful to Suzanne for helping me to embrace a new openness for the days ahead!! Priceless!!" "Before I began to work with Suzanne Goulet I was at a very extreme crossroads in my life. I was feeling desperate and full of despair. I knew I had talent and passion for a new life path, but I had no confidence or ability to begin this new path. I have been working regularly with Suzanne and I cannot believe the progress I have achieved. Suzanne is so talented with her ability to see the bigger picture, keep me on track, gently encourage, and firmly insist, but only when necessary. 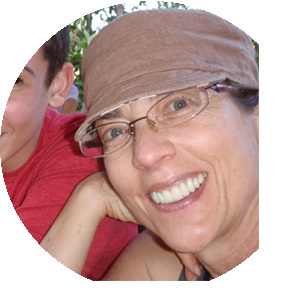 I would never have started my projects or have met important milestones without Suzanne. The most valuable part of working with Suzanne is her intuitive spiritual guidance. She has led me through my grief and despair with encouragement and important direction. I have courage, confidence, and hope."